Our next major local elections are scheduled for Thursday 2 May 2019. 16 out of the 49 seats on West Oxfordshire District Council are being contested – this includes 1 of the 3 seats in the Chipping Norton Ward. Separately, all 16 seats on Chipping Norton Town Council are up for election (amongst many other local parish and town councils). Our May edition – out on Monday 29 April – will contain all the candidates’ profiles and pictures. If you’ve ever asked yourself that question, here’s your opportunity to find out. 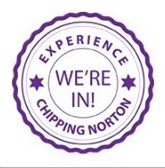 Chipping Norton Town Council holds this public meeting, reporting to citizens on the Council’s activities for the past year and how they have represented us. It is an opportunity to ask questions of Councillors and raise issues you feel should be brought to their attention. This annual meeting is a week before the 2 May local elections when all 16 Town Council seats are up for election. So if you have any questions at all about the role of the Council, what it does and how it does it, come to the meeting. This is YOUR opportunity – get involved! When it’s election time we always have a feature for every candidate in the print copy of the News. But so far, for the local elections on Thursday 2nd May we only have information from 24 out of the 25 candidates – there’s one missing. So if you know Zoey MacGregor, please ask her to get in touch with the Chippy News so that we can add her to the list. We’ll put a list of candidates up on the website soon too. As temperatures reach record highs we proudly announce the March edition – in shops now! Costa Coffee on the new retail park has just joined the outlets selling the News – there’s a full list of stockists on the About page above.